I hope you had a chance to go to Badminton and what a change in the weather! Maybe you saw some of the competition on the television. Great to see such wonderful cross country riding over Eric’s course and to see the results so close made the show jumping so exciting. I’m sure we were all able to pick up some tips of cross country riding, especially about leg position and core stability to maintain the correct body position – we must put it into practice, sometimes I think we concentrate so much on our dressage position we forget to practice the jumping position. Here’s to a good event season everyone! Recently I took my two horses on a clinic with Russell and was fascinated by the results, small cameras are put on the horse and their gait is analyised in slow motion, so I could pick up on any irregularity in the movement, I had never seen this detail before and it really helped with shoeing or how to work you horse to improve. I am so keen to have a Rider Analysis that I am delighted Russell has agreed to come to Urchinwood on the 20th June to work with more horses and riders (click here for details). On rather the same vein, I had a chance to have a go on SIM, a mechanical non mechanical horse. SIM is a real life riding SIMulator and is not electronically operated but is astonishingly effective. It is the only one in the UK so it is quite unique! It was amazing how difficult it was even to trot and I thought after 50 odd years I had mastered that! I hope SIM will be coming to Urchinwood as again this is a real eye opener. With spring hopefully around the corner, have you thought of joining Endurance GB. Endurance GB, run pleasure rides as well as their competition rides, so there is something for everyone. There are local rides in the Forest of Dean and Quantocks as well as Exmoor and in some lovely countryside in Wiltshire and Dorset. They run a try before you buy scheme so do give EGB a call or have a look at their informative website. 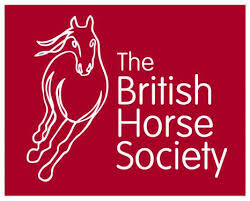 The British Horse Society are running a conference at Hartpury in March with a great programme of speakers – I would recommend the conference to anyone. Look at the BHS website for information. I hope you are all ready to get going for 2018! Whether you have your sights set on eventing, show jumping or dressage or just enjoying being a happy hacker we have got lots going on to keep you and your horse or pony on the way to success. Check your horse or pony’s vaccination certificate and make sure you are up to date and pop the date for your booster in your 2018 diary. Plan your competitions, but remember the plans can always change so be flexible. Coffee Morning on Saturday 3rd February 10am – 1-pm in memory of Gill Sandford, a much missed client and friend of Urchinwood in aid of St. Peters Hospice and Marie Curie. Free pony rides and delicious cake and coffee – donations only! Not done your Christmas shopping yet - why not give a voucher to learn to ride or improve your riding or bring your horse on one of the many clinics we are holding next year. Side saddle is such an elegant art - a course of lessons and a chance to have a photograph in all the clothes is a real treat. A Pony Club membership gives a chance to ride, learn about horses and ponies and meet a whole new group of friends. After Christmas our blog will include advice on buying a pony and tips on feeding. Harry Christmas Everyone and Ride Safe on these short days. Welcome to our new website, we hope you like it. I think we have a full and interesting program of competitions and some exciting trainers and coaches coming in to run courses. We are planning to put tips and suggested topical ideas for horse/pony care and competitions on the blog each month. If there is any help or advice you would like, then then please contact us via telephone or e-mail: enquiries@urchonwoodmanor.co.uk .